A successful marriage is built daily. Your children are watching your marriage. 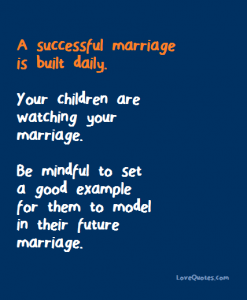 Be mindful to set a good example for them to model in their future marriage.